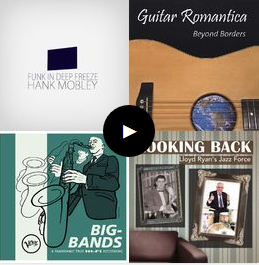 This discography is a list of recorded material featuring Wes Montgomery. It contains every known published recording of him, listed in chronological order by recording session. Each session data includes information about the recording date and location, the participating musicians, the titles, composers and the label numbers of the records on which the respective titles were first published, e. g.
every tune first appeared and the name of a compact disc on which it has been (re)issued. The names of these CDs may vary from country to country, and just like some of the LPs, some may be already out of print and become collectors items. This discography does not include reissues, samplers or records made under license outside the USA, unless they contain previously unissued material. Additional information, questions, comments and corrections are welcome. Decca 24946 Lionel Hampton Hamp’s Gumbo / ? Decca 27176 Lionel Hampton Everybody’s Somebody’s Fool / ? Decca 27401 Lionel Hampton Please Give Me A Chance / ? Decca 28711 Lionel Hampton I Wish I Knew / ? Sonny Parker and his All‑Stars. Just Walkin’ ‑ Original Take(Wes Montgomery) 2:55 V6‑8804 65VK308‑? Just Walkin’ ‑ Reissued Take (Wes Montgomery) 3:37 539 062‑2 65VK308‑? Lawrence and Lilia Williams ‑ ? This is a list of albums featuring recordings with Wes Montgomery. The Albums are roughly listed in the order of recording dates. This list does not include records made during the “Hampton Era” 1948‑1950 reissues and albums mainly consisting of reissued material.